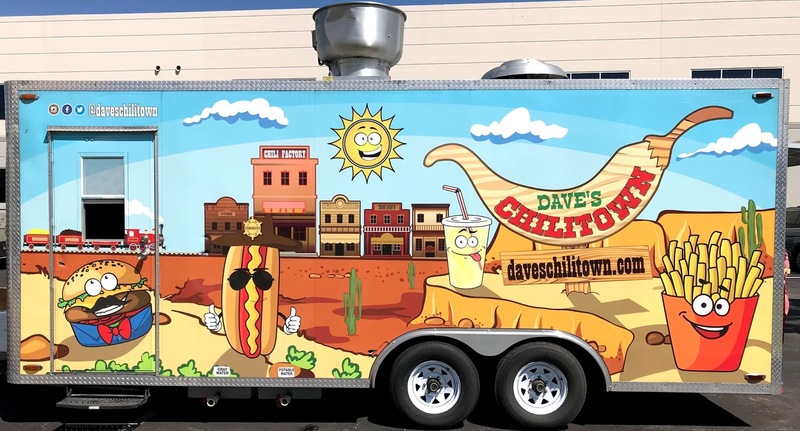 Today we had Dave's Chilitown food truck parked outside for lunch. I'm lucky to work in a place that's a little bit outside the loop, but they order great food trucks from inside the loop (if you're in San Antonio you know what that means) to park right on campus. 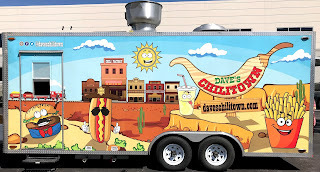 One of my favorite dishes is chili and Dave knows how to do chili right, in my mind, it must include Frito's! Legend says that the first recipe for chili con carne was put on paper in the 17th century by a beautiful nun, Sister Mary of Agreda of Spain. She was known to the Indians of the Southwest United States as “La Dama de Azul,” the lady in blue. Ha, as white as this girl is living in a US "Mexican" town, I love me some chili. 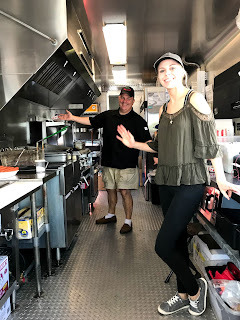 My go to favorite at Dave's Chilitown Food Truck is his Frito Pie, just like mama use to make. I may go off my beaten path and try his Worchestershire Chilicheese Fry Burger too I just watched his video and it looks delicious.